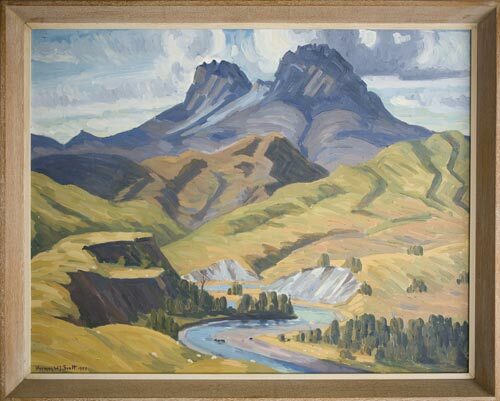 Norman Scott’s painting of Hikurangi shows the mountain rising above the Waiapu River valley. An airman in the Second World War, Scott worked as a full-time artist in Gisborne from the 1940s until his death in 1978. He painted in both abstract and traditional styles, the latter exemplified in this painting. Permission of Tairawhiti Museum, PO Box 716, Gisborne, must be obtained before any re-use of this image.